Spring always brings a rush of new joys! It seems that love, weddings, flowers, sunshine, and even babies come pouring into our hearts all at once during this season. It’s a beautiful and welcome renewal after a cold, dormant winter. With so many beautiful things blossoming all around us, it only makes sense to celebrate. Whether that’s through a bridal shower, a baby shower, a birthday party, a wedding reception, or simply an afternoon of crafting, we believe that everyone has something to celebrate this time of year. And what’s a celebration without an invitation? Why, a very lonely celebration of course. You know what they say: the invitation sets the tone for the party! So we mined the Seasonal Expressions 2 idea book for invitation stamp sets just right for ringing in spring. Marvel at the jewels we discovered! The flowers in this stamp set are to the Blossom paper packet as sunshine is to blue skies—they were made for each other! Use them in tandem to create an invitation that will have your guests rushing to your party so quickly they’ll blow the blossoms on the trees clean off! The icy sparkles crystallized on these lemon slices look good enough to eat! 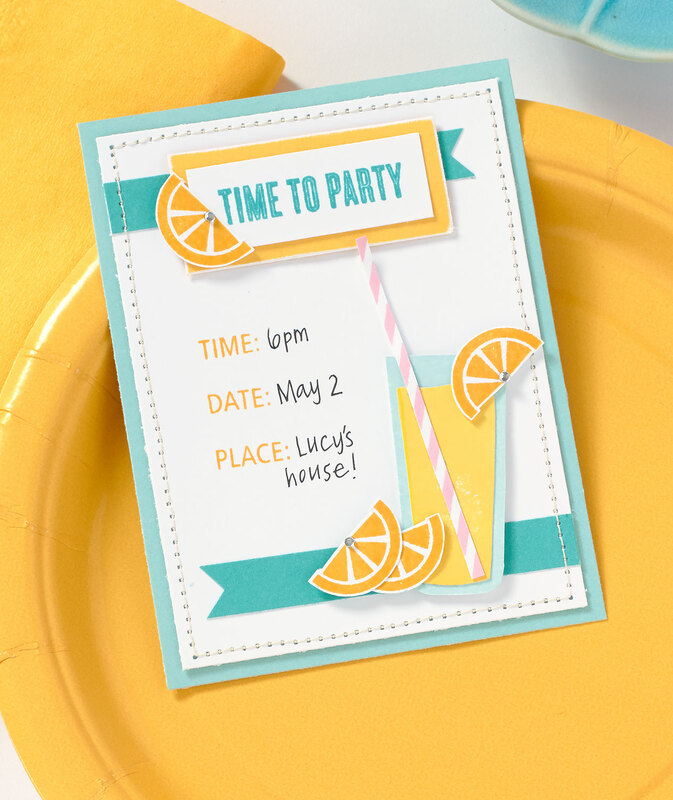 We love the bright colors and shapes from this stamp set that make the invitation a party in itself. Can you imagine how happy you’d feel if this splash of life arrived in your mailbox? 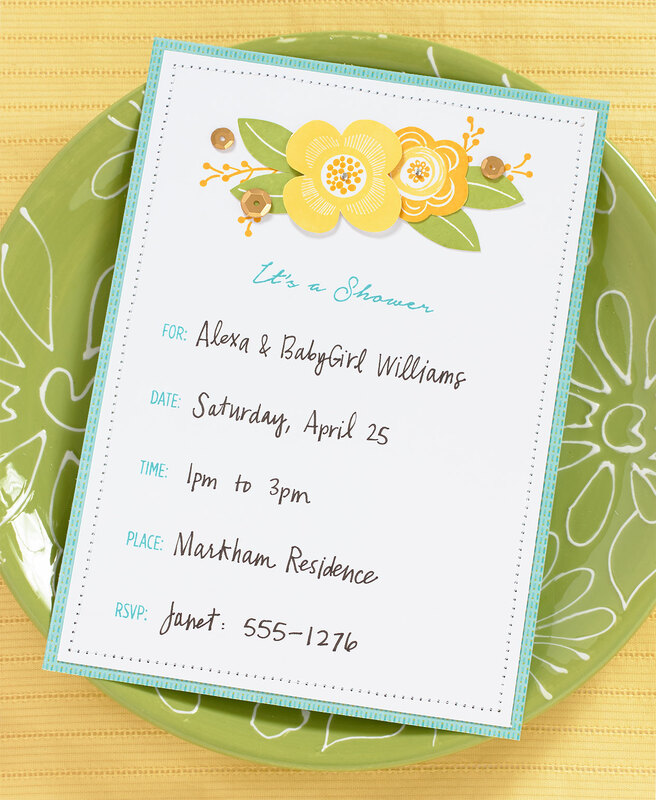 If making your own invitations feels a little intimidating, just think of it as an alternative form of cardmaking! With one stamp set, you can create a collection of invitations that will make each of your guests feel special and appreciated—a little act of kindness that is well worth your creative efforts. So open up the windows of your home (and heart) to spring! Let the fragrances, light, and even the occasional rain shower into your life. Breathe it all in. Even if your party is a long way off, today is always worth celebrating!